Corn seed germination requires water and warmth. The hard shell of the seed is hydrated by soaking so the embryonic plant can send out a tiny root and sprout. All seeds need their outer shells to be hydrated before they will sprout. Other seeds with hard shells such as beans, peas, squash and eggplant benefit from soaking as well. Try your hand at sprouting corn seed from an organic whole foods store selling dried corn and corn for popping. Another alternative is to buy sweet corn on the cob at a farmer's market, dry the corn on the husk and then remove it for germinating and planting. Corn seed is available through seed catalogs and nurseries. Inspect the corn seed for any mold or dark spots. Make sure the seed is whole and not broken. Heat distilled water until it is warm, but not hot, to the touch. It is possible to use tap water but that has chemicals, salts and chlorine. Place the corn seed in a container with a lid. Cover the seeds with the warm water. Close the lid. Store the corn seed in a warm place like over the fridge or on top of the clothes dryer for 24 hours. Using the strainer, remove corn seed from the water after the 24 hours and plant immediately. 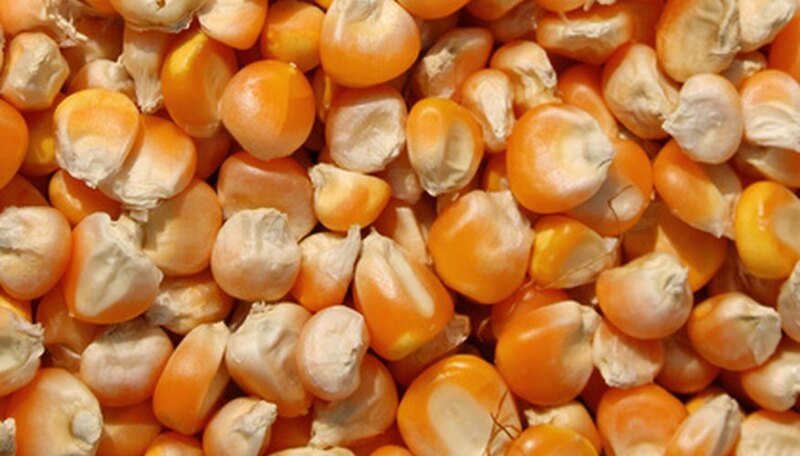 Organic corn seed is available at some online sites. It's preferable for soaking. Commercial corn seed often has fungicides dusted onto the seed to prohibit damping off disease. Soaking the corn seed removes the fungicide. The seed must be planted immediately after the 24 hours. Soaking longer than 24 hours may encourage the seed to sprout prematurely--which is a waste of energy for the seedling if it's not in the ground.